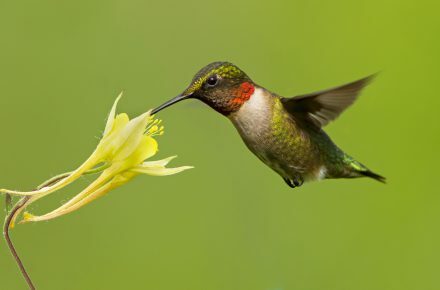 Hummingbirds are famous for hovering in front of flowers and feeding. 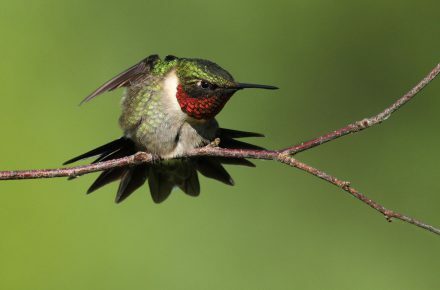 They do this by beating their wings quickly — on average they rack up 50 wingbeats per second. 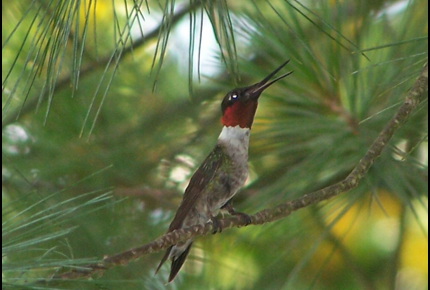 And when flower nectar is scarce they eat tree sap from holes made by sapsuckers – a kind of woodpecker. 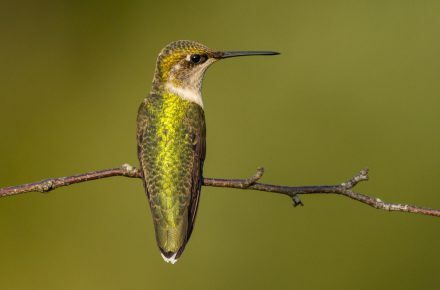 In fact, hummingbirds are said to follow sapsuckers to take advantage of freshly made sap holes. 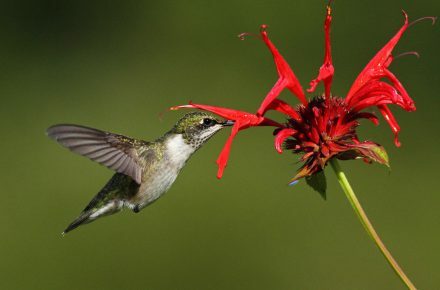 But that’s not all they eat! 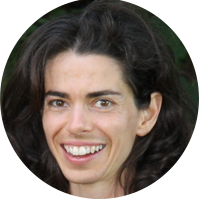 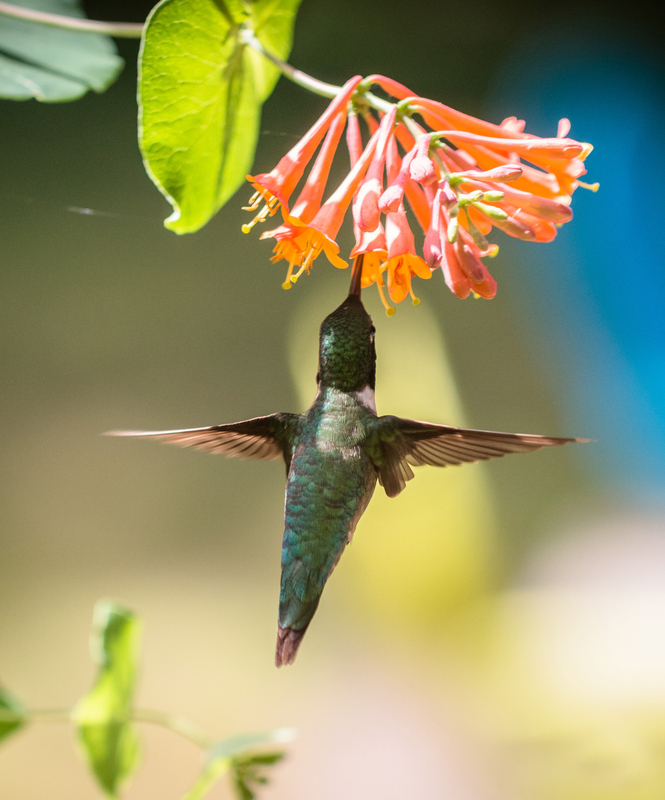 Did you know that, in addition to a safe supply of flower nectar for carbohydrates and minerals, they also need spiders and insects for protein? 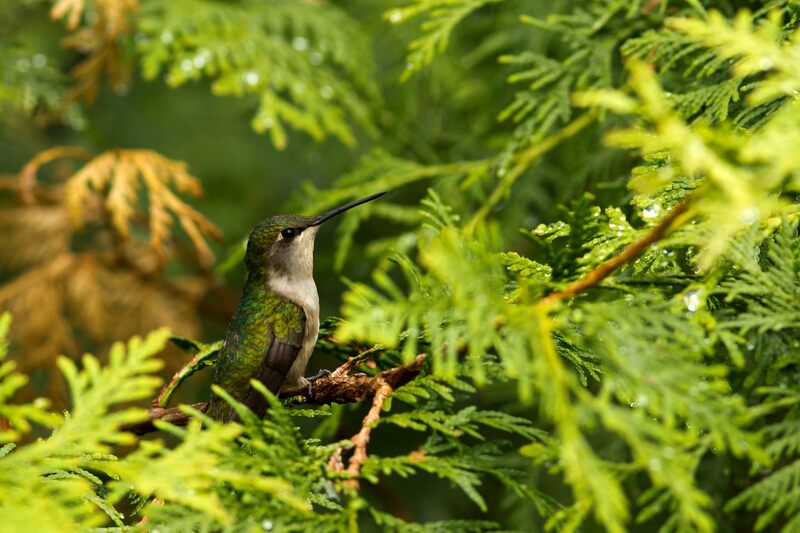 Hummingbirds also need trees for perching, hiding and nesting. 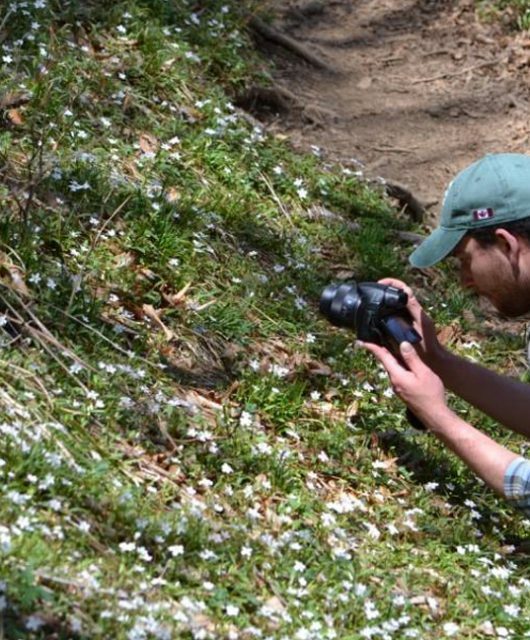 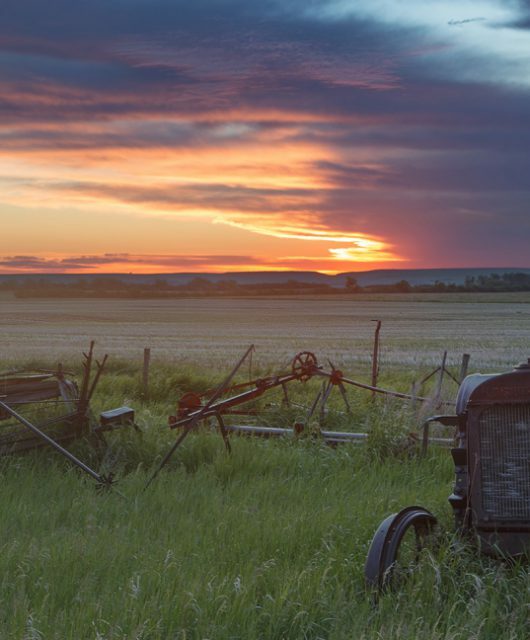 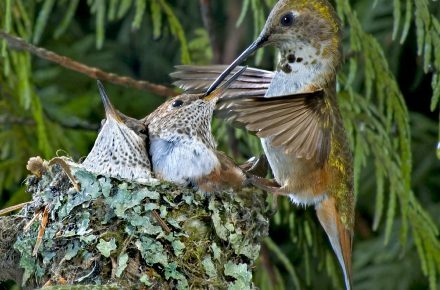 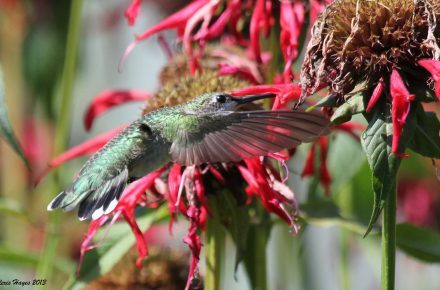 Here are some of the Canadian Wildlife Federation’s Photo Contest images showing Canada’s hummingbirds in their habitat. Canadian hummingbirds must have trees for nesting and resting. 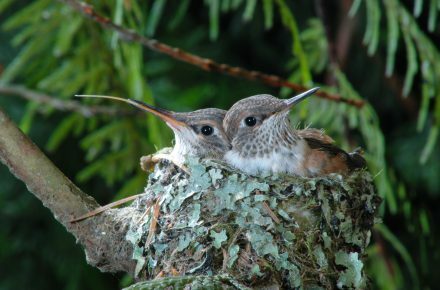 They build their tiny nests using plant materials, such as thistle, cattail, willow, Dandelion and Eastern Cottonwood down, small feathers, bud scales and spider webs. 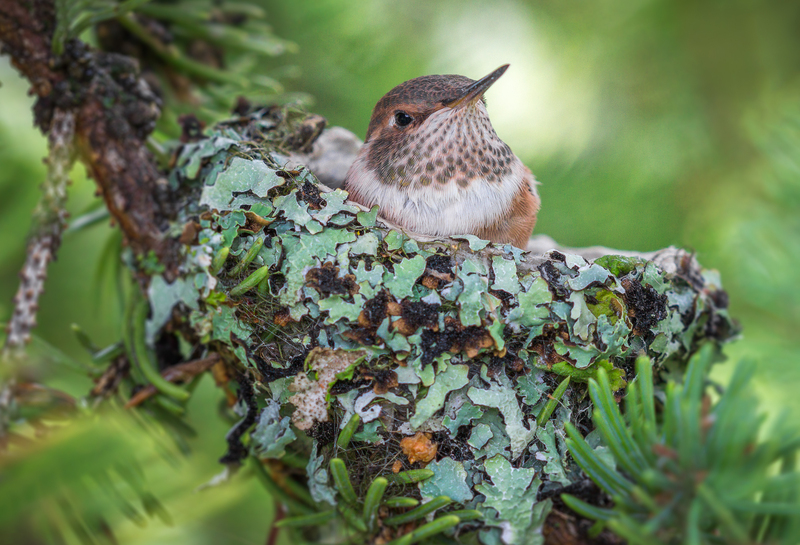 Sometimes the exterior of their nests are covered with lichen, moss, dried flowers or little bits of bark. 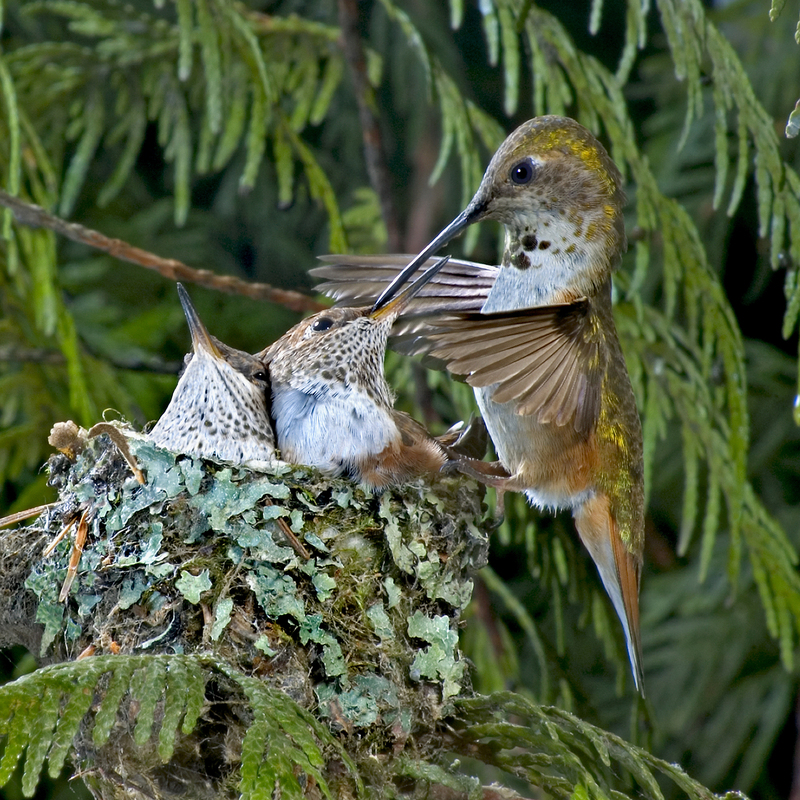 Females use their whole bodies to make their nests from placing items, stamping and weaving materials into place and pushing against the walls to shape it. 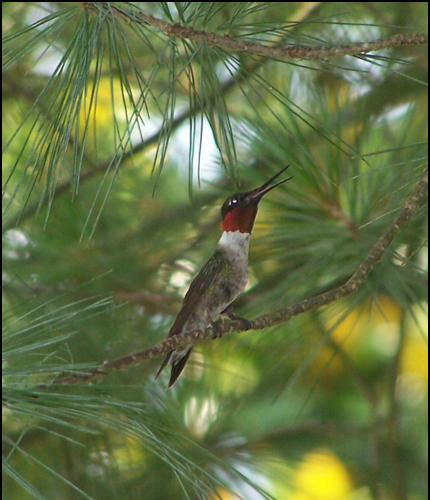 Trees and shrubs make good lookouts and resting (or stretching) spots, too. In addition to different sugars and water, nectar also contains other compounds including amino acids. 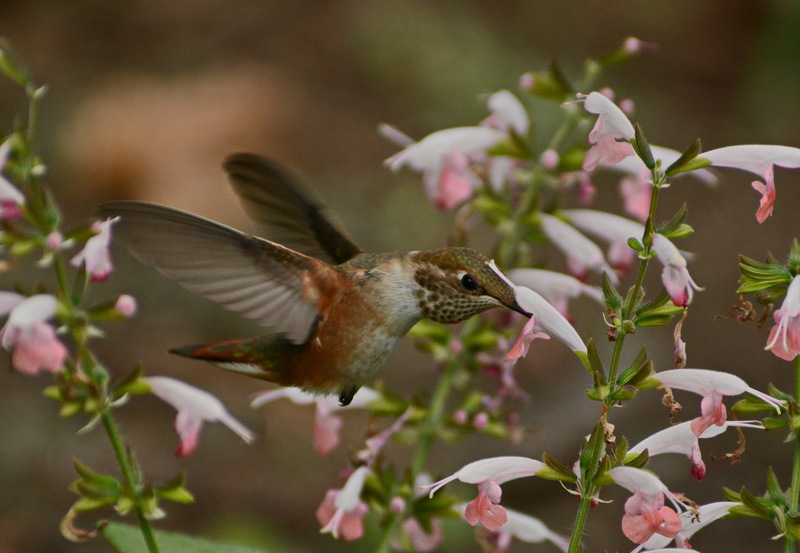 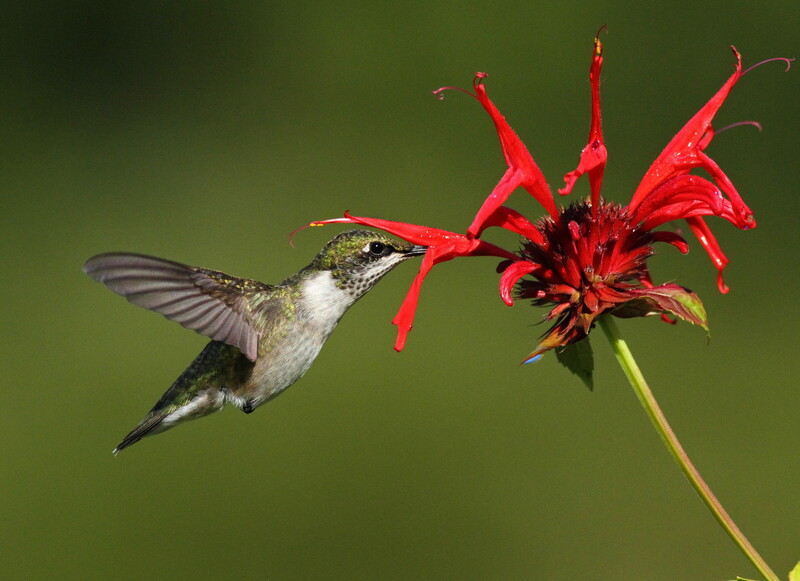 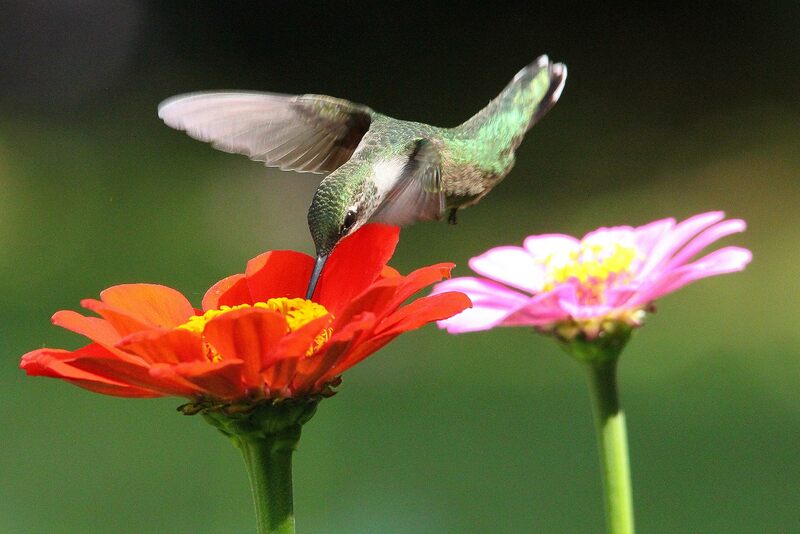 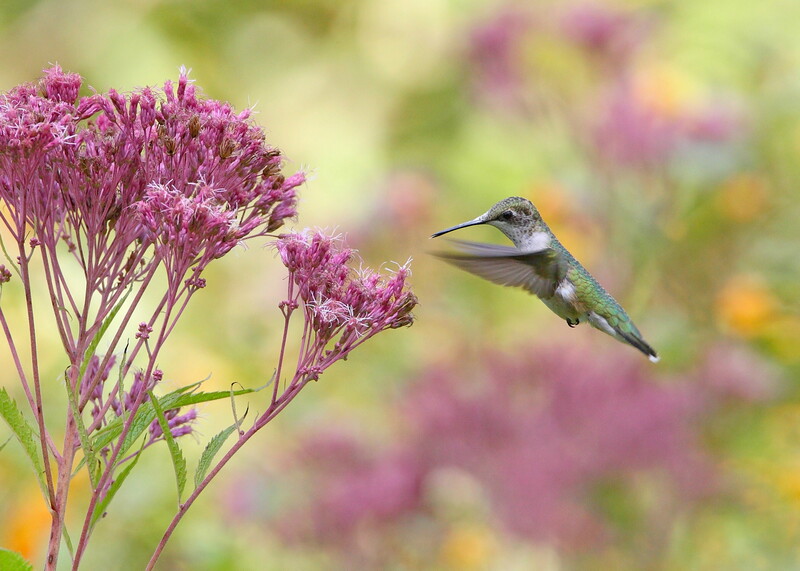 Hummingbirds feed from tubular shaped flowers, both large and small. 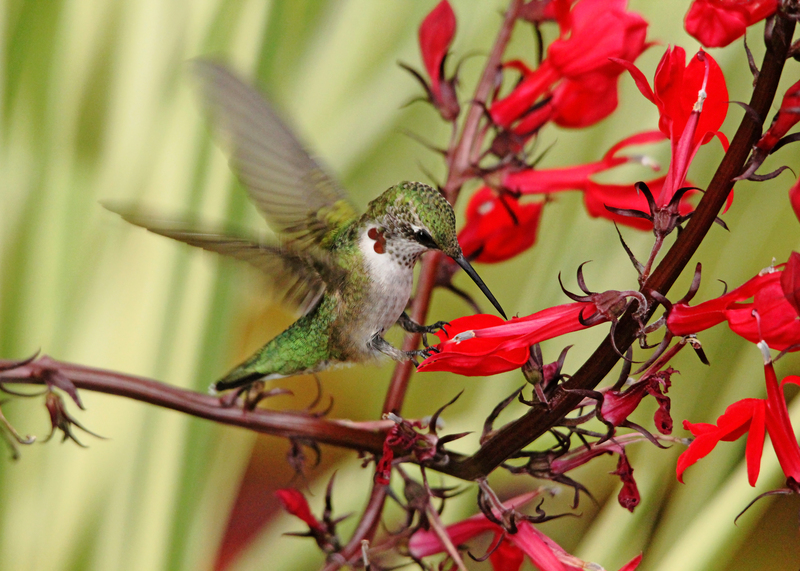 And while they are generally attracted to the brilliant reds. 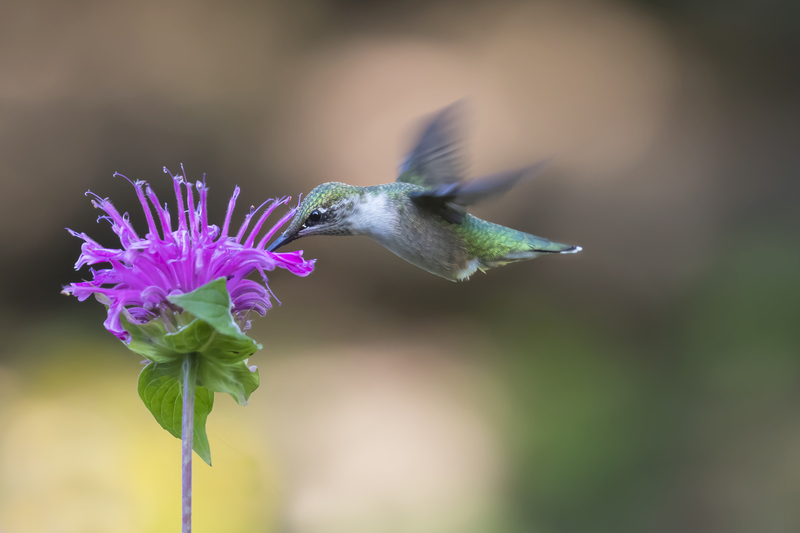 As to which flowers to visit when, studies show that hummingbirds can tell when a flower is at its peak in nectar production and they time their visits accordingly! Some flower clusters grow along a spike like salvias, others as a tight flower head like Zinnias. 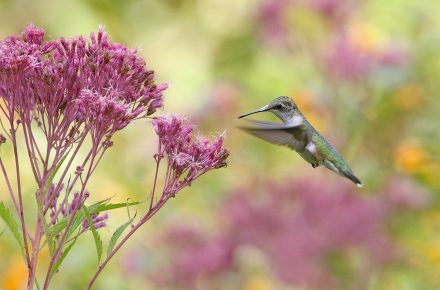 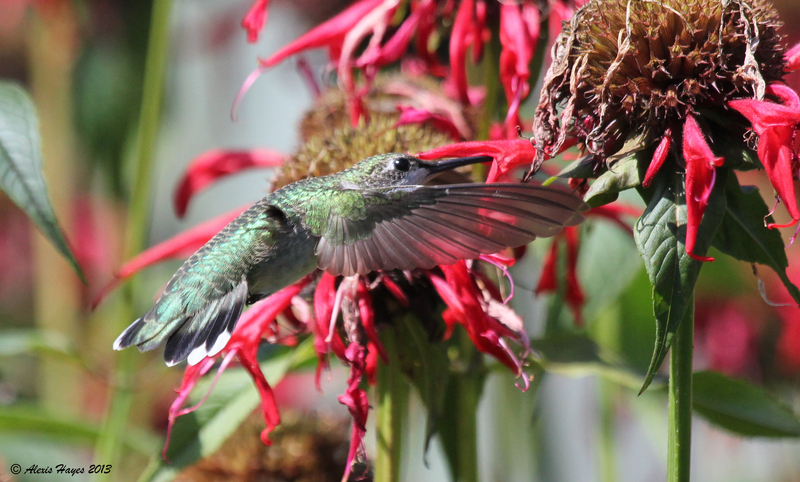 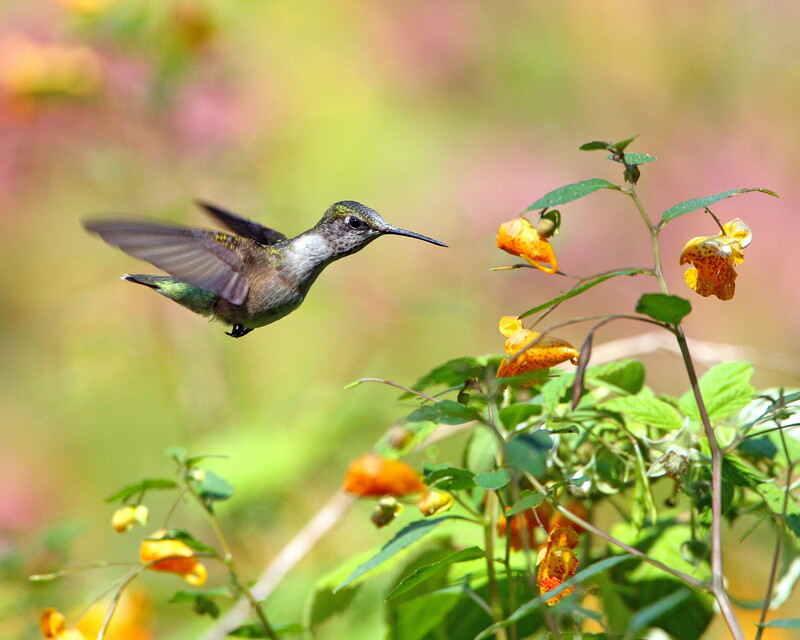 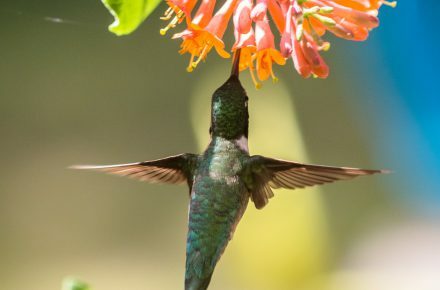 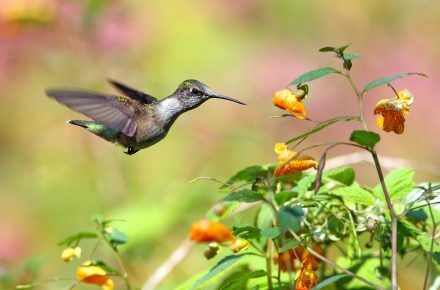 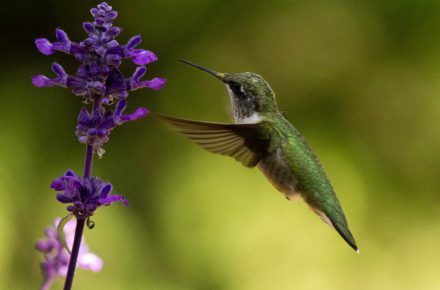 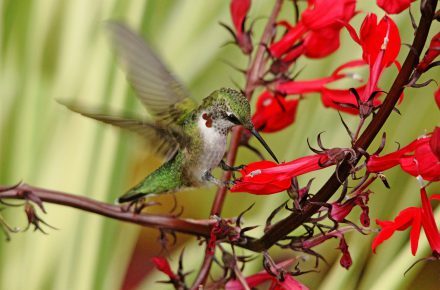 For both, flowers will bloom in succession so don’t cut down old flower heads too soon, as there might be a few more flowers to feed a hungry hummingbird! 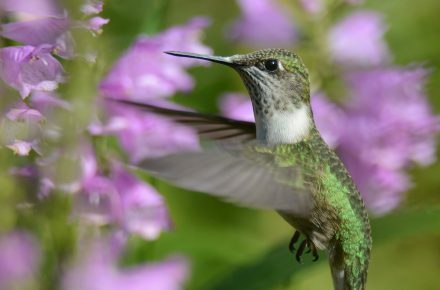 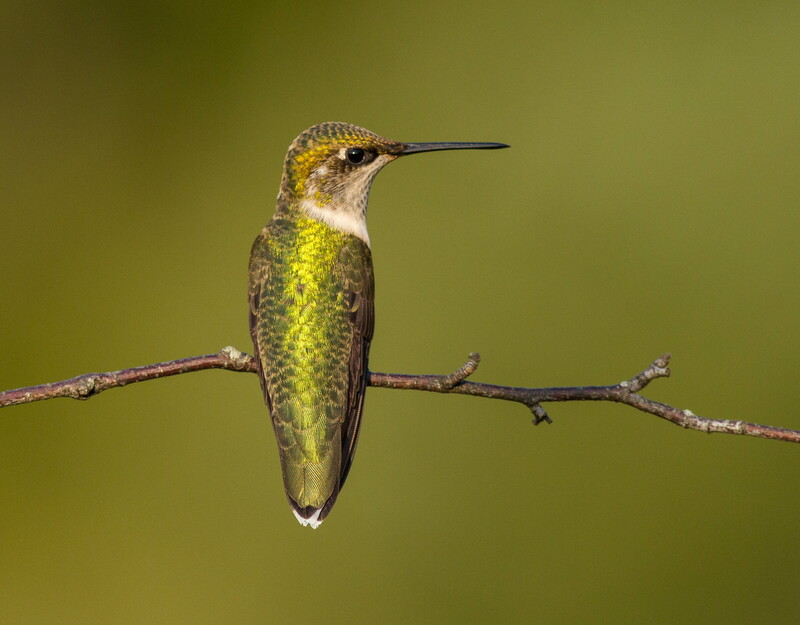 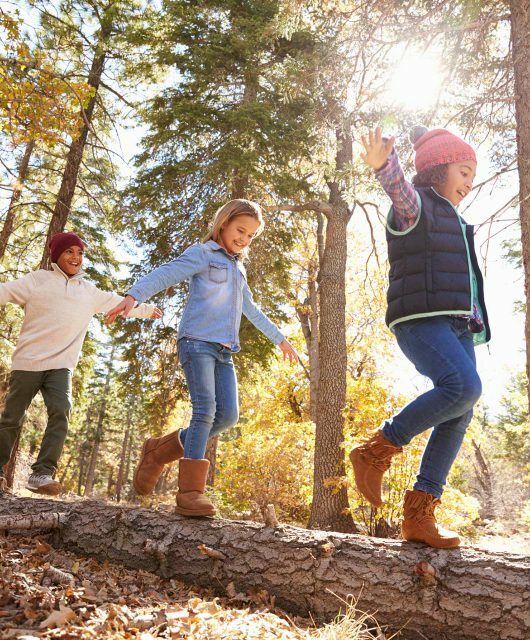 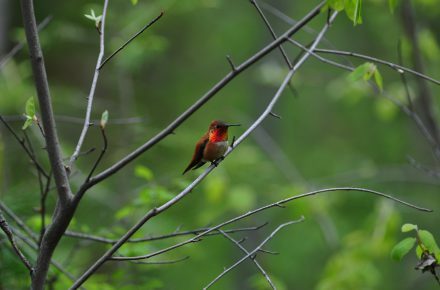 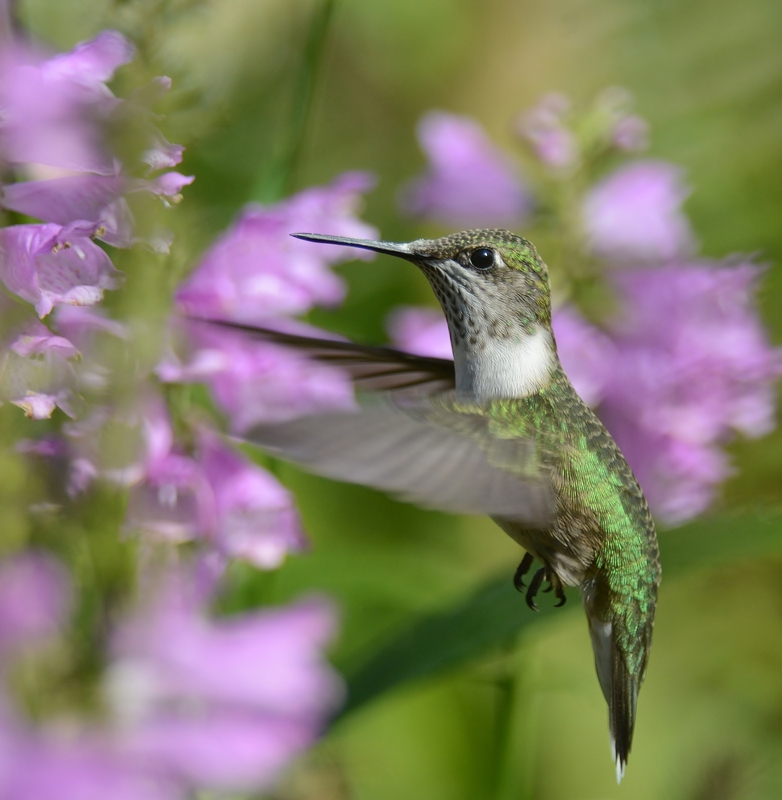 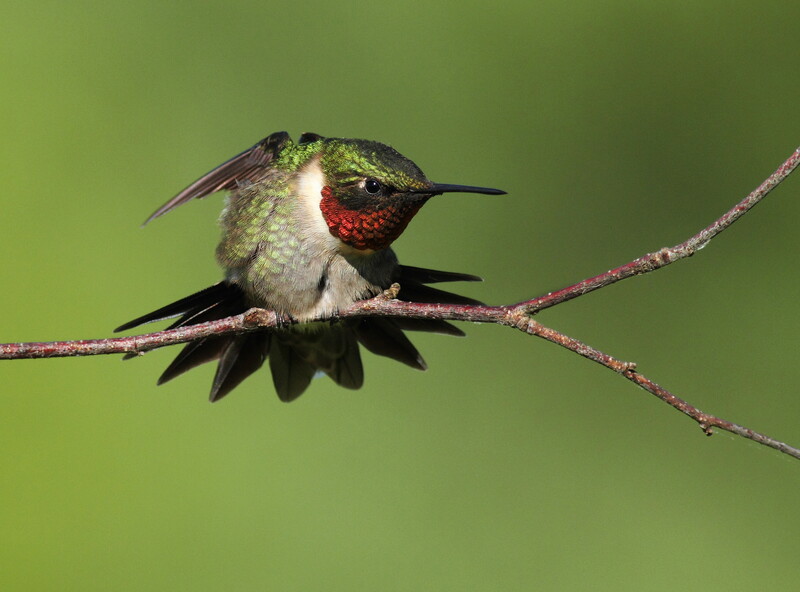 Learn more about hummingbirds and more of Canada’s avian friends at the Canadian Wildlife Federation’s Wild About Birds website.